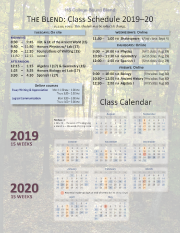 Our 2019-20 calendar: Click on the image below left. 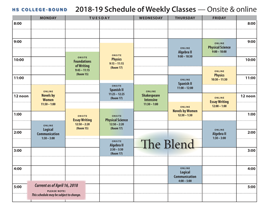 Our weekly schedule: Click on the image below right. 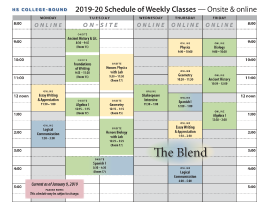 You can download our 2019-20 brochure with complete course descriptions—Just click on the image at right. 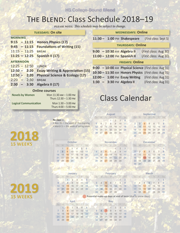 Our 2018-19 calendar: Click on the image below left. 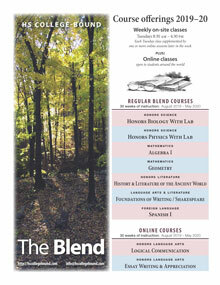 a second class online later that same week. a disciplined approach to learning in a group.